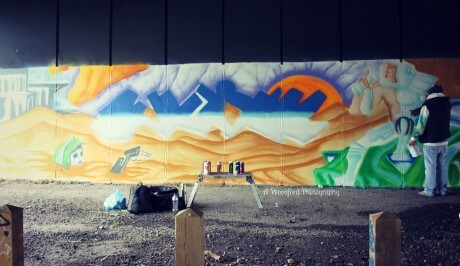 Clifford Joseph Price, aka Goldie, is now mainly known for being a DJ, actor, and as a musician (Metalheadz etc) but in other circles he has never been forgotten as a graffiti artist and breakdancer which was a culture that he’d abosorbed due to many visits to the States during his youth. You’d be surprised at the amount of people that don’t know about that side of his earlier life (some probably just know him from that James Bond film and a few episodes of “Come Dine with Me” – shame on you!). 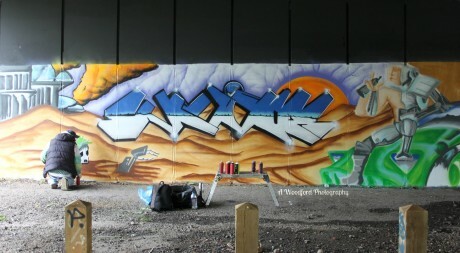 He was a pioneer in the 80’s and a lot of his artwork around Wolverhampton and Birmingham was heavily featured in Afrika Bambaataa’s documentray “Bombing” and he then when on to take part in the largest ever British graffiti battle alongside a Bristol based artist called 3D (who later formed “Massive Attack”). One of my other reasons for this post is because an artist and friend of mine, Skema, has recently recreated one of Goldie’s classic pieces “Negative There Are No Survivors” to absolute perfection and I thought that it certainly deserved to be shared with the world. 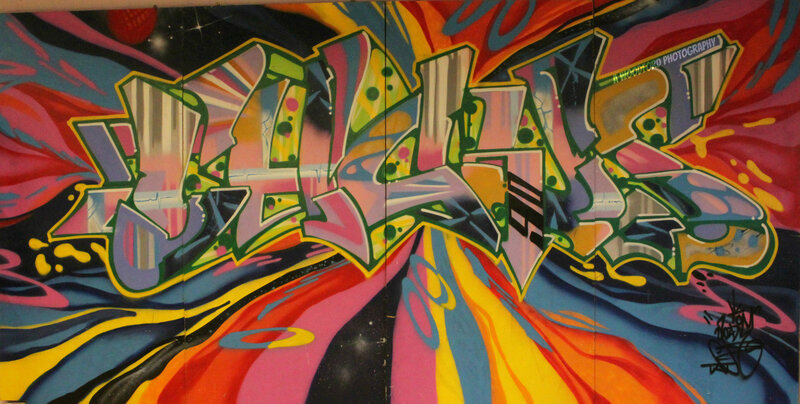 Skema decided to recreate this piece because it took him back to his childhood – he used to sneak out of school to watch Goldie paint and he will always be an idol to him, and it has to be said that he really has done this piece the justice that it deserves! Goldie was a friend of my ex husbands and I still have a piece of his art work in my house. In fact my ex who is now deceased was one of his best men.